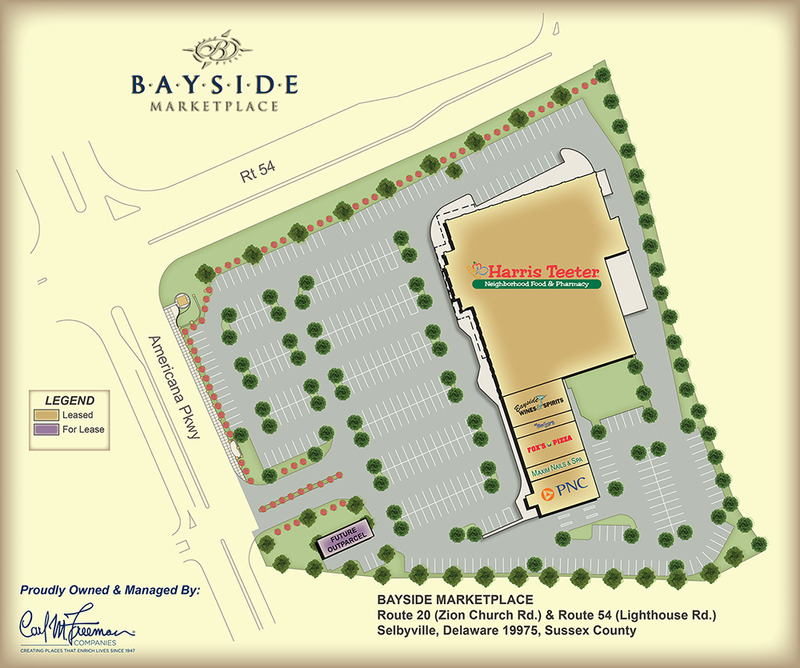 Bayside Marketplace is a 61,000sf shopping center anchored by Harris Teeter. The center is located at the intersection of Routes 54 & 20. The center offers everyday convenience, with the Harris Teeter grocery store as well as Starbucks, PNC Bank, Bayside Wines & Spirits, Foxes Pizza, and The Blue Scoop homemade ice cream shops, all right in the neighborhood.